Holly and Lara both still have very sensitive skin and I'm very cautious about the bathtime and skincare products that I will use on their skin. Ever since Lara was a teeny tiny newborn baby, I've experimented with different natural and organic skincare products to ensure that we can balance the need to get clean and fresh, with the need to keep the girl's skin moist and protected from irritants. 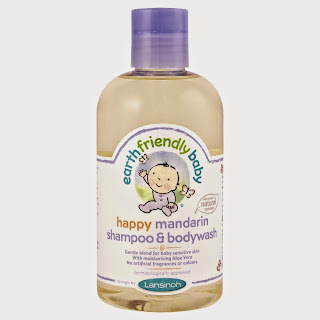 The Earth Friendly Baby range of baby and children's cosmetics is now under the Lansinoh banner - a brand name I've know and trusted since the early stages of pregnancy. 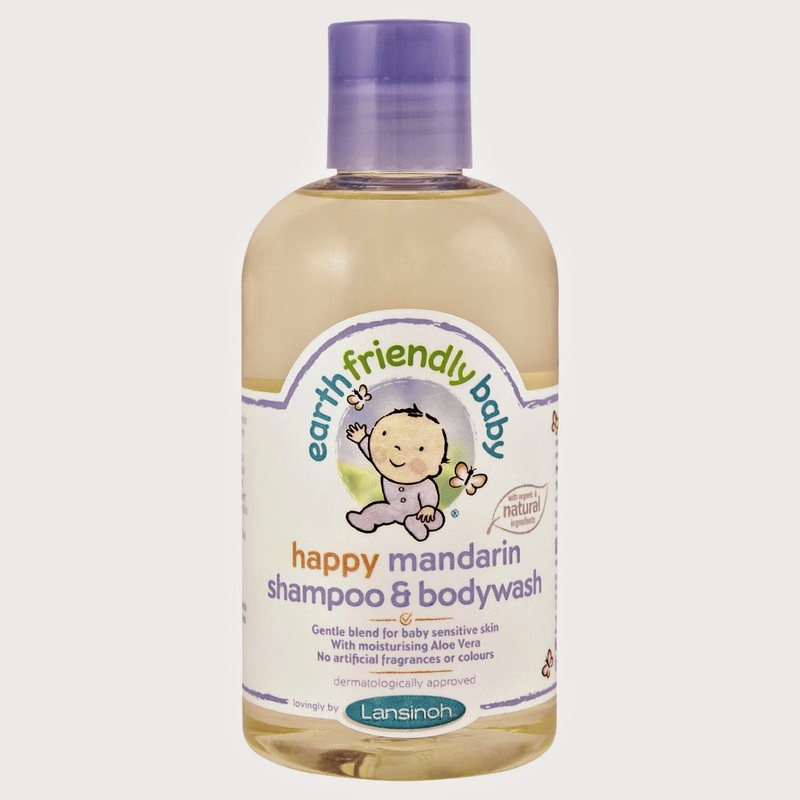 Holly has recently started using the Earth Friendly Baby Happy Mandarin Shampoo and Bodywash, a gentle, softly scented citrus shampoo which can also be used as an all-over bodywash. This shampoo is made from over 99% natural ingredients, of which over 50% are organically sourced. It is free from SLS (but still seems to foam well enough on Holy's hair) and from parabens (which sometimes cause me skin complaints). Even though Holly certainly doesn't have baby hair any more, we find this to be a very effective shampoo and I absolutely love the gentle mandarin smell. Holly is very fussy when it somes to bodywashes but she is happy to use the Earth Friendly Baby bodywash herself - I think this is because it isn't too thick or gloppy and isn't too strong-smelling (some kids bathtime products can be a little overbearing). I'm really pleased with the cleaning power and gentleness of this product. After bathtime, we often like to moisturise the girl's skin as this is the most effective time if you really want to lock in moisture. The Earth Friendly Baby Calming Lavender Body Lotion is a gentle, cooling body lotion suitable from birth. Lavender oil is known for its soothing and healing properties so this is a great lotion for using for a pre-bedtime baby massage (something Holly does still enjoy every once in a while). We find this lavender body lotion quite oily; this is a good thing as it is packed full of natural oils, each offering moisturising or nourishing properties. I think this body lotion is a good baby staple for new parents - a 250ml bottle would last a REALLY long time as you only need a tiny bit to be effective. As a little extra feel-good factor, the bottle for this body lotion is made from totally recycled materials; it is non-transparent which is great for preserving the natural oils in the lotion. You can find Earth Friendly Baby bathtime and skincare products in Boots, Tesco, Waitrose, Ocado and online.